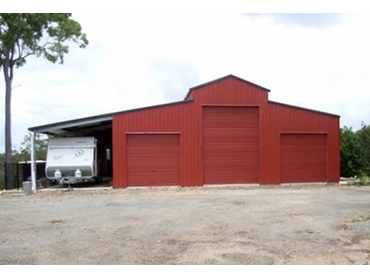 Ozsteel Garages and Sheds offers a large range of Heritage and Australian style barns. One of the features of these barns is a consistent C-Section size throughout the entire building including the awnings. It is possible to add roller-doors to any side of the building and a mezzanine floor is also an option with any barn, with the extra space in the middle of the main shed.